A short film about a raped woman (who murdered her sick and abusive grandfather) sent to death row and her confession to one listening reverend in her last moments. This culminates in her redemptive ‘rebirth’ in death. 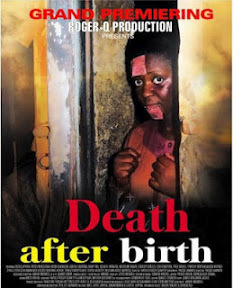 Afia Obinim, "Death After Birth". Fienipamovie (online blog).